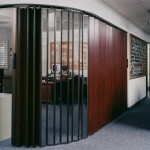 Accordion doors are the most efficient way of area savings. A leaf is not opened or moved along a wall, it is just folded up like vertical jalousie in a doorway. The other advantage of such construction is materials of products because there are a lot of different materials used for jalousie production. 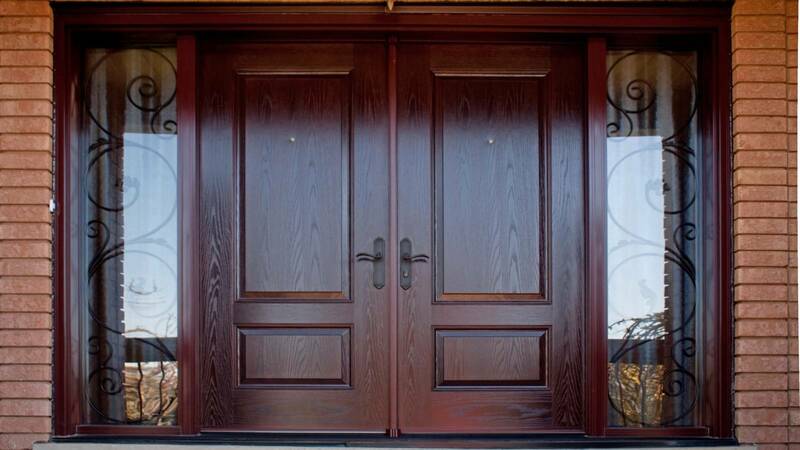 There two classes of doors. 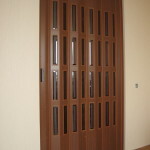 They are divided according to the quantity and width of doors sections. A book. 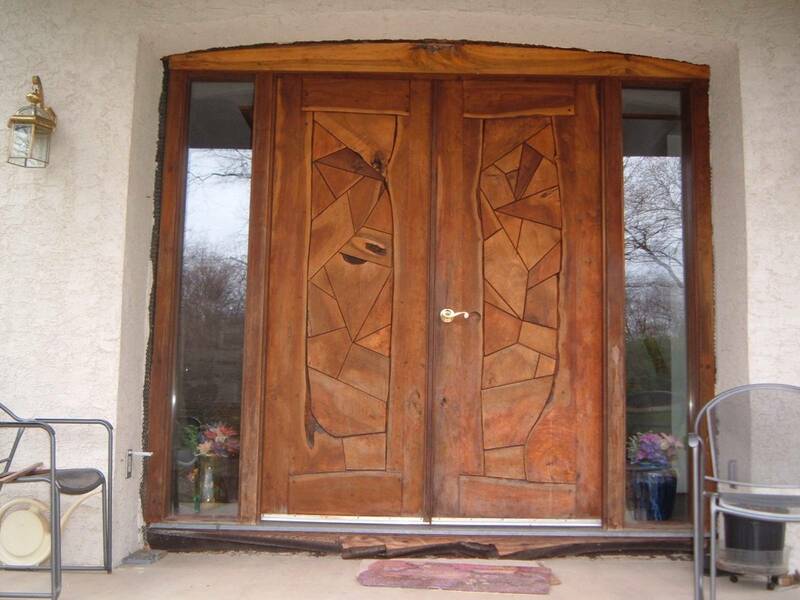 This door usually consists of two wide lamellas joined by loops. 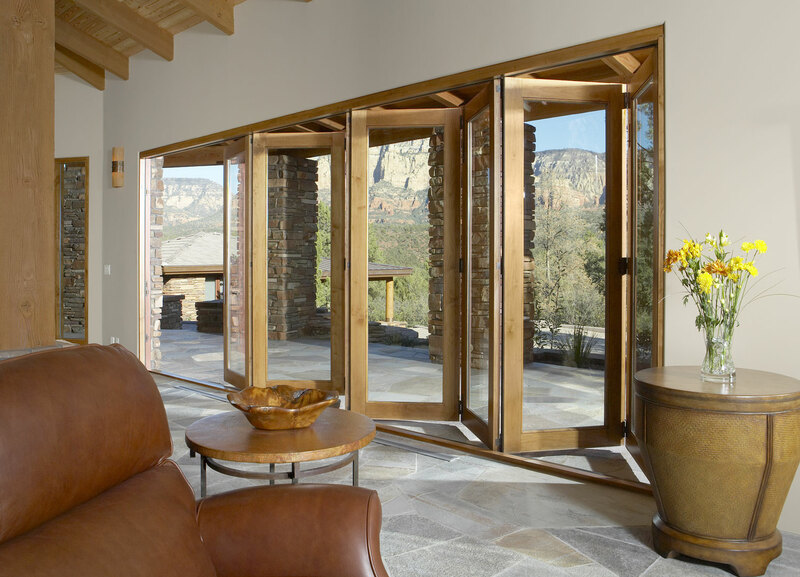 Such construction is simple and safe but heavier than another class of doors. This variant of doors is bulkier because if you fold up this door, it will be just half as much than simple door variant. 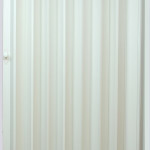 An accordion or pleated door. The lamellas are narrow (just about 10 cm) and folded up during the opening. But the construction is more difficult and less safe. The movement is made due to one roller travel. This roller sets on a last lamella. 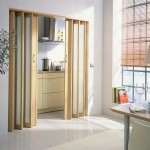 An accordion door is very compact and can be made of very light materials such as fabric, leather bamboo and etc. 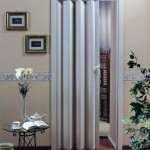 The main disadvantage of both accordion doors variants is a bad noise and heat insulation. There are a lot of design variants. 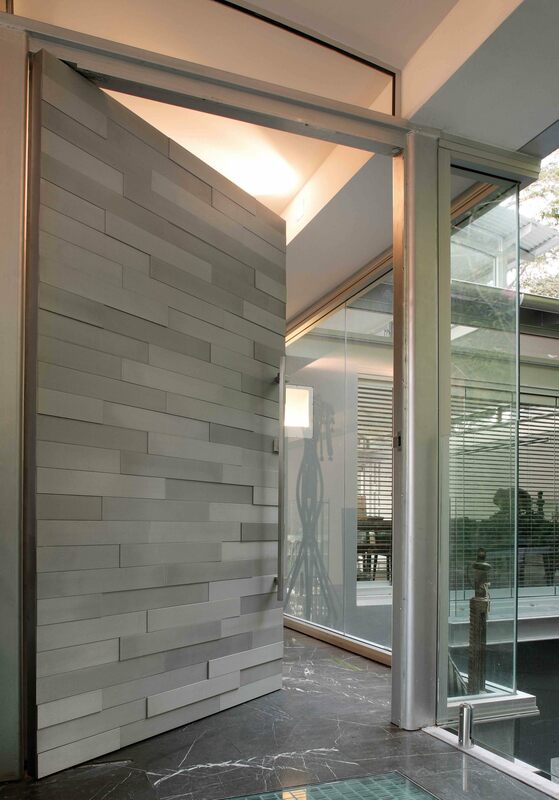 This kind of doors can be more interesting if you choose right door materials. 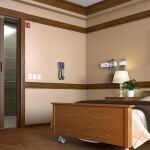 Material depends on style of your interior and financial possibilities. Wood. 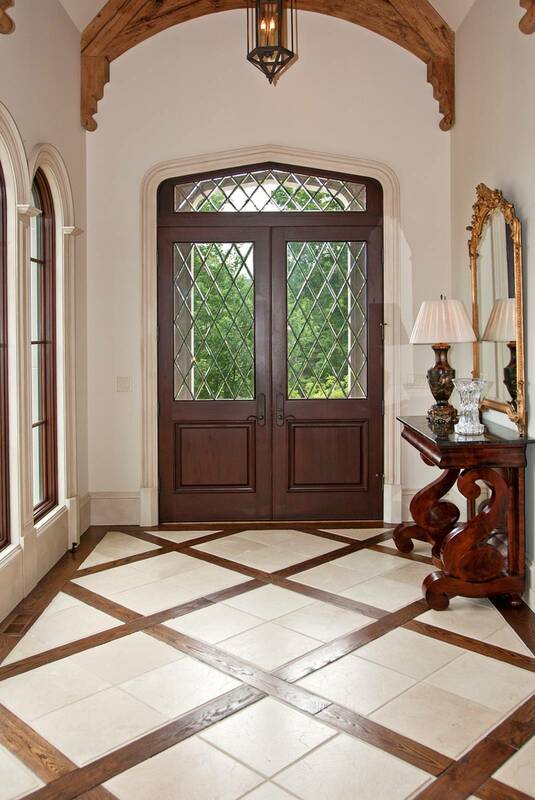 This door suits classical design of a room. 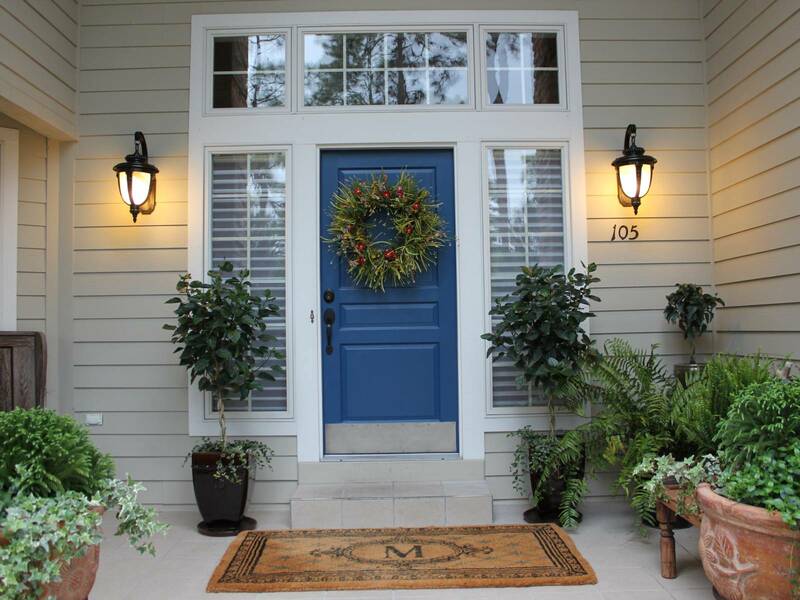 You should choose a veneer sheet or coniferous tree. Mentioned types of wood are lightweight and grate for a book door. 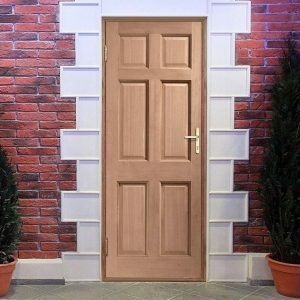 Medium density fibreboard or PVC. 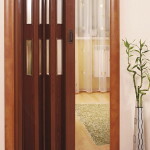 The doors made of these materials will be light and reasonable, lamellas can be wide as far as narrow. Plastic. It will be better to use plastic for accordion types of doors. It is quite cheap variant that’s why plastic is used for service rooms. Glass. 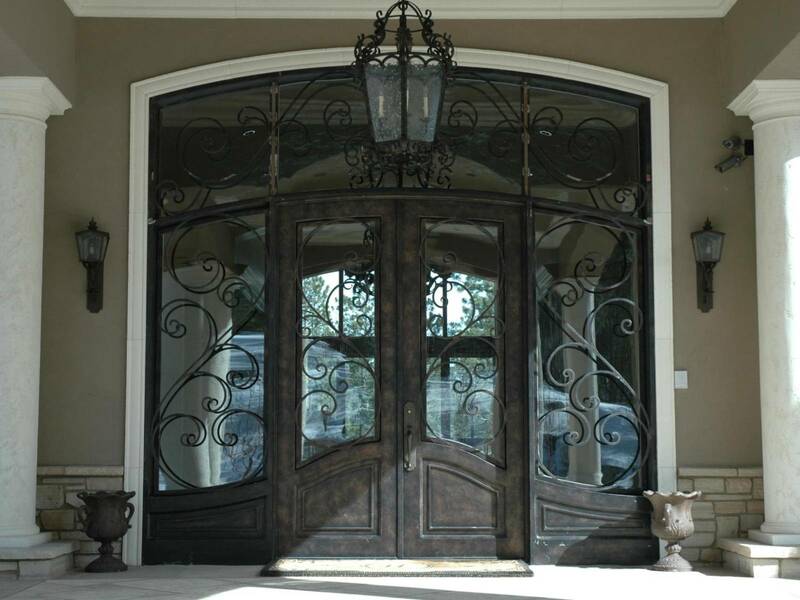 There are two variants: a door can be done from glass or just decorated with pieces of glass. 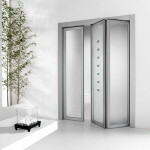 If you choose glass accordion door, it will be nice for futuristic design but rather expensive. 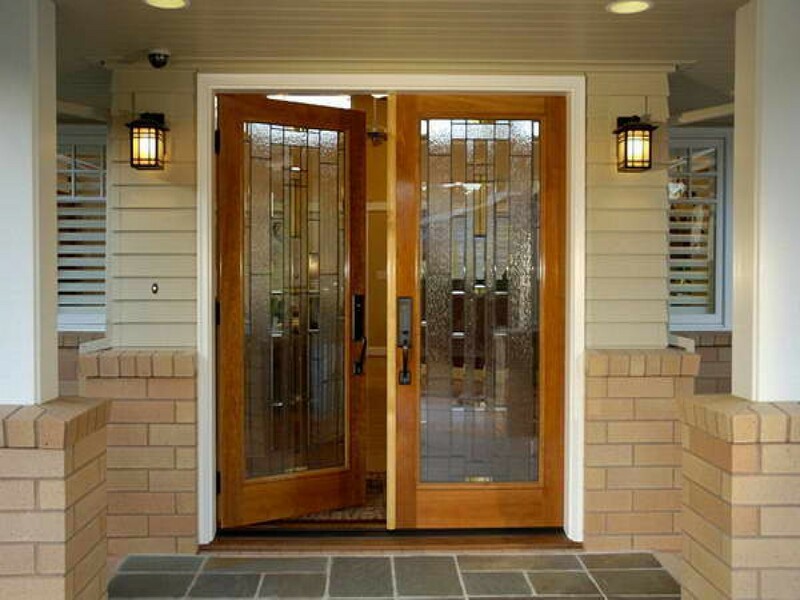 If you want to have a wooden, steel or aluminium door, you can decorate it with a glass fixing. 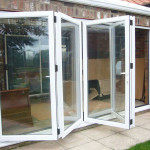 This fixing can be different, for example, glass can be matte, colourful or stained. 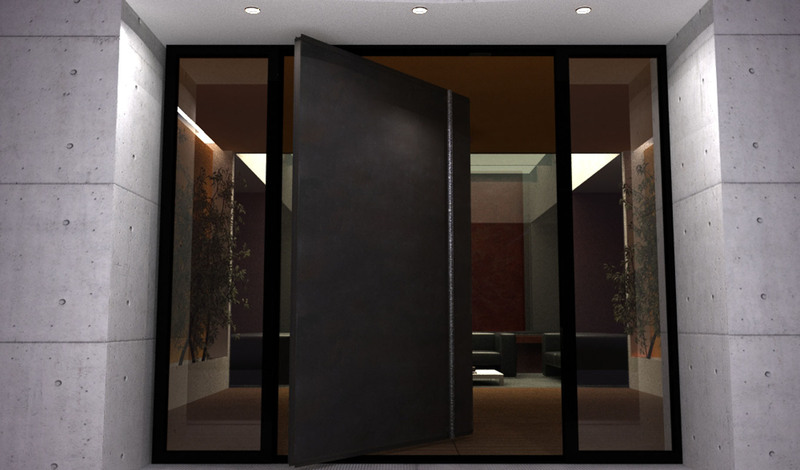 Such door will be a bright accent in modern or techno design. Fabric. 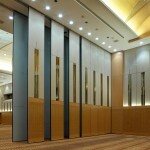 It is one of the most exotic materials for accordion door. 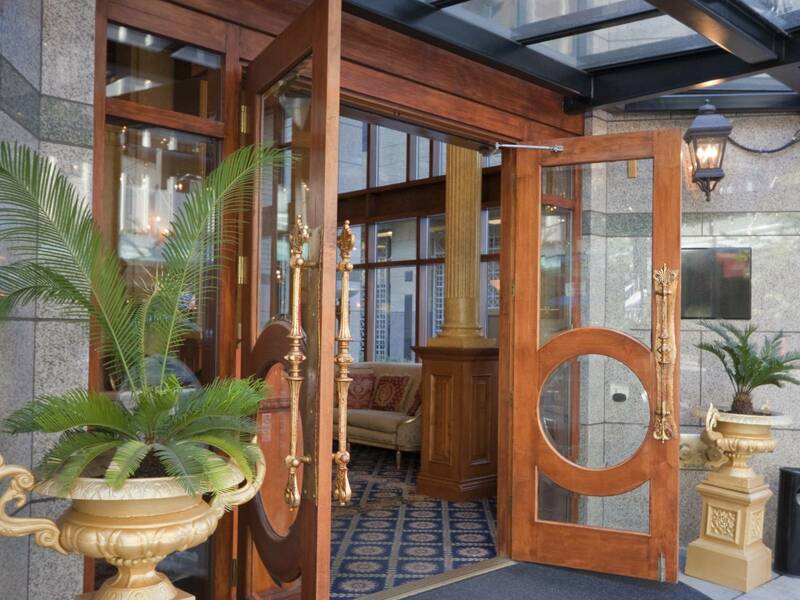 This door looks very chic. You can choose one of the numerous variants, such as gobelin with metal threads or silk with traditional Japanese pictures. Bamboo. 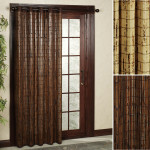 If you are a fan of ecofriendly materials, you will like a door made of bamboo. Besides it has a good noise insulation and strength.